Companies around the world want to automate to cut costs and streamline production. Disney shouldn’t be one of those companies. And PhotoPass — of all roles — shouldn’t be the first one to take the heat. To an extent, any job could be automated at the Disney parks. Michael Eisner caught flack in the 90s during a property walk where he infamously mentioned that a trained monkey could do the jobs of most ops cast members. There are plenty of automated services headed to kitchens around the country. And with the new animatronic technology Disney has been patenting over the last few years, not even entertainment is safe. Have I had PhotoPass photos turn out poorly? Yep. I’ve had my head chopped off, face blurred, nothing but blinking photos, arm chopped off. Some of my most recent runDisney photos were, um, less than stellar. 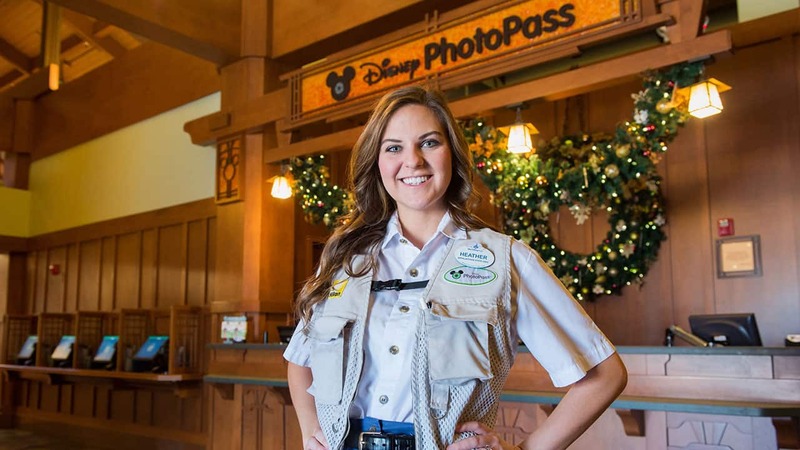 Here’s a solution for photo-quality problems: hire people with photography experience or give your PhotoPass cast members better training. Hire people who’ve gone through (oh I don’t know) photojournalism school. People with photography degrees or a visual arts background. People who have the technical experience to quickly problem-solve when issues happen with their cameras. People who also understand that connecting with people in a short time is critical for good photos to happen. And Disney doesn’t take these sorts of things into consideration. They’d rather hire people who have barely any photography experience instead. Because Disney doesn’t really care about your previous work history or preferences when it comes to moving roles or applying for ones you’re interested in. There’s a system of red tape, seniority, and first-come-first-served dumb luck involved. I’ve known my fair share of award-winning photography students who haven’t been considered for PhotoPass whatsoever. There’s no logic there. None at all. Does that mean I want a green box to magically dictate when and how my photo is taken? I’ve seen PhotoPass in conjunction with Character Attendants help facilitate some stellar character interactions. And with PhotoPass there to capture everything, those candid moments just wouldn’t be the same. You can’t automate quality memories. I don’t know how these new systems will work. I have no idea, but I can’t wait to see how much goes wrong. And I’d definitely take the latter. I completely agree! Having interaction with the Cast Members is one of the best things about a Disney trip! I’m gutted that they’re changing this. But like you say things will most likely go wrong. We’ll just have to wait and see! To my knowledge, leadership has promised that no PhotoPass job will be cut. But if that’s the case, where will they go? I’m interested to see how this plays out.